A feature story on the inner connections of the Paul Phua sports betting prosecution published by the Wall Street Journal on Monday paints a powerful picture of the connections between wealthy Asian gambling junkets, sports betting and high-stakes poker. However, in exploring the case’s direct connections to poker and to several prominent American cash-game players, the feature errs by incorporating a handful of laughable misconceptions, seemingly designed to infer that high-stakes poker players are, quite possibly, mules, actively participating in international money laundering. Such an inference is somewhere between amusing and disgusting, and we’ll explore it in depth below. We can chalk this one up to authorial naiveté when it comes to understanding how poker really works. However, there’s another problem as well, and that’s assuming that the government is always truthful, or doesn’t spin circumstances to suit its preferences. Frankly, the Wall Street Journal and its writers should know better. Whether some well-known poker pros engage in money-laundering behavior is frankly irrelevant to the Paul Phua-related case. What is interesting, however, is the WSJ writer’s insertion of a fairy-tale scenario seemingly cut from whole cloth by an unnamed federal agent, a tale that’s ludicrous on its face and serves no purpose but to denigrate and damage poker’s image. As a result, an otherwise well-written piece by Wall Street Journal scribe Kate O’Keeffe emerges as a weak piece of government-sponsored propaganda. In “FBI Takes Aim at High-Roller Junkets,” O’Keeffe explores the background of the Paul Phua case, which we’ve reported on extensively here at FlushDraw. Incorporated within is the tale of how Paul Phua and at least two others among the eight arrested in last July’s raid are deeply involved in the Asian gambling junket market. The case also delves into Phua’s own extensive connections and possible ownership in IBC Bet, a major Asian online gambling business. It is also true, as O’Keeffe reported, that at least three famed US poker pros have either put up bail for or provided housing (in support of supervised pre-trial release) for some of the case’s defendants. Phil Ivey, Andrew Robl, and Tom “durrrr” Dwan are all identified in connection with the piece, just as they have in other outlets, including here at FD. All three have been frequent participants in the Macau nose-bleed games, which were — they’re likely over for good now — among the richest in the world. Well-heeled international players also participated in the games, including German pros Phillip Gruissem and Igor Kurganov. Gruissem and Kurganov were, coincidentally, two of the three unnamed “other pros” backed by the wealthy Asian gamblers into the 2014 Big One tourney. For the record, poker’s surge in interest over the past decade has been due in no small part to the marketing and publicity efforts of major European and American gambling companies, who’ve viewed the Asian market as the last great frontier for possible horizontal poker-market growth. When it comes to the Paul Phua case and the poker-playing particulars of its defendants, that’s mentioned specifically in the court documents that WSJ scribe O’Keeffe admitted using as research. It was Paul’s son, Darren, now 23, who as a teenager idolized the famed poker players he saw on TV and online and wanted to emulate. With his help and with his father’s riches and that group’s participation, those games came to be. Private and semi-private games the world over have been constructed around well-heeled wannabes itching to take their shot against the big boys. That’s actually exactly how poker itself came to maturity in Las Vegas, too, as a gathering spot for the world’s best players. Do we get any of that in the O’Keeffe piece? No, not a chance. Nor do we get any of the interesting and important side story that’s intrinsic to the ongoing Paul Phua and Darren Phua cases — the probably illegal searches and raids and falsification of evidence that the FBI used to craft its evidentiary framework. Earlier here at FlushDraw, we’ve delved into why the Phua case should probably result in the case being dismissed due to investigator misconduct, and that’s true whether or not the Phuas, father and son, are guilty as charged. But let’s stay focused on the poker aspects, the unnamed FBI officials cheap denigration of the game, and WSJ writer O’Keeffe’s gullibility in accepting what she was told at face value. U.S. law-enforcement officials call junkets, sports betting and poker a dangerous combination that could enrich organized crime and facilitate money laundering. Sports betting can be used for money laundering because there are many illegal bookmakers and betting sites licensed in loosely regulated jurisdictions that don’t require bettors to identify the source of their funds, they say. Poker is considered an important money-laundering risk at casinos because players bet against each other rather than against the house, and because players typically capitulate without ever showing their cards, so it is harder for casinos to monitor the action, U.S. law-enforcement officials say. For example, a player could arrange to transfer illicit money to someone through a poker game by intentionally folding, even if their cards would have won the game. The second paragraph of that, the part pertaining to poker, is pure and utter bunk. 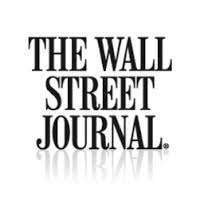 It’s disgraceful that it passed writerly and editorial muster at the Wall Street Journal. Trying to money-launder via chip dumping at a poker table takes time. Dozens of hands might go by before the would-be launderers find a hand where they’ve managed to get all their opponents out of the hand and freely launder the chips. In the meantime, they’ve been playing the game, paying rake and betting into pot after pot in hopes of creating an isolated pot in which to launder those chips. Again, that’s a whole of money being paid unnecessarily to people not involved in the scheme. In other words, this method of money laundering will not happen — no way, not ever. It’s stupid and ignorant of how the game of poker is played, and the last time we saw anything this nonsensical offered in a poker/money-laundering context was the kookball website and theories of James Thackston, who was eventually outed as a would-be software developer trying to ply his wares in scaremonger fashion. Is Thackston one of the unnamed sources referenced in the WSJ story? O’Keeffe doesn’t name her sources, despite freely naming poker players Ivey, Dwan and Robl in connection with the piece. Whether or not it’s intended, the tone of the piece thus implies that the three may in some way be involved in money laundering in regards to the connections with their Asian friends. Since none of the three has been charged, that’s unfortunate, too. Sure, part of the piece is the claim that FBI agents are investigating these various links to the poker world, and Ivey in particular has been in the news in a legal way for his controversial edge-sorting punto banco play in a number of famed casinos. Soon after his arrest in Las Vegas, Mr. Phua and his son, who was also indicted, were bailed out by two prominent American poker players: Phil Ivey and Andrew Robl, according to court papers. Other poker players including Tom Dwan agreed to let members of the alleged gambling ring stay at their homes in their custody during the legal proceedings, according to court papers. A lawyer for Mr. Ivey said the U.S. poker player helped Mr. Phua because he is “a trusted friend from the days they first met playing poker.” Messrs. Dwan and Robl didn’t return requests for comment. The last part of that carries a subtle connotation that the players might not want to talk to the Wall Street Journal and a writer who’s doing an expose on money-laundering links to the poker woker. Though well-written, the paragraph creates a subtle inference for readers that they might not want to talk because they have something to hide. Again, this is demonstrably not true. Ivey is never talkative in a media sense, and these days he’s been referring all requests for comments to his own attorneys, in light of his own involvement in these other civil cases. In the case of Dwan, he has spoken a bit, just off the record. I text-chatted with him myself a couple of months back in regards to several topics; he said, quite amicably, that he doesn’t plan on doing interviews or speaking about Phua case specifics until the case itself is formally resolved. Given his relationship with both of the Phuas and the possibility he may be called as a witness if the case goes to trial, that makes perfect sense. I haven’t spoken with Robl but I’d expect his stance is much the same — and neither one of them owes the Wall Street Journal any sort of comment whatsoever. Given the piece’s laughable claims that money laundering is occurring amid high-stakes cash games, I’d guess that durrrr’s failure to provide comment for it was a good read. One wishes that Wall Street Journal writers would be just a little less gullible. Dear Ms. O’Keeffe, this might be news to you, but our government’s representatives and spokespeople lie and spin and obfuscate — just as in every other government on Earth. Forgetting that truth makes a slick story look foolish in the eyes of those who can discern the difference.